Carrillo, a Laguna Beach baseball icon who is credited with coining the phrase, “Have a home run day,” is known around town for wearing a different baseball uniform daily, attending youth athletic events, and filling conversations with baseball trivia and terminology. 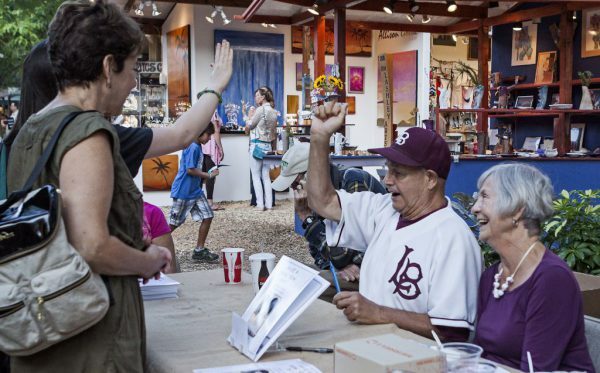 Eighty-year-old Carrillo is the namesake of the Laguna Beach High School baseball field. The movement to have a statue created to honor Carrillo began a couple years ago. Roux Creole Cuisine hosted a fundraiser in November to reinvigorate that movement and raise the money needed to erect the long-awaited life-size statue. Additional contributions are needed for installation of the statue in its permanent location, as well as for maintenance. Call 949-494-0703 for more information. Checks can be made to the Skipper Carrillo Statue Fund and sent to 450 S. Coast Highway, Laguna Beach, CA, 92651.